Everyone's excited about the Solar Eclipse that will take place on Wednesday, August 21 at about 2:00 p.m. Here are some links that you may find useful as you prepare for this exciting astronomical event. Info from NASA, NSF, American Astronomical Society, and other reliable sources. How to Watch the Eclipse Online. 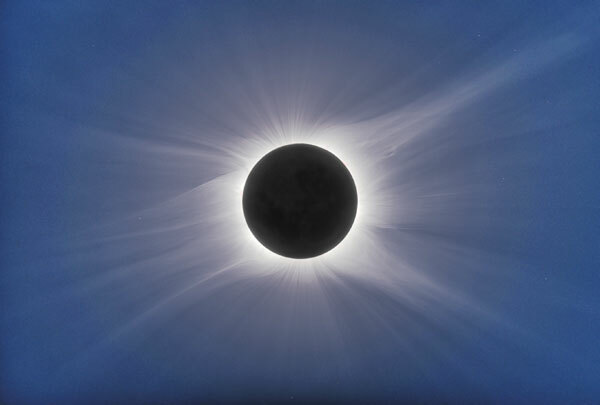 . .
Sky &Telescope imaging editor Sean Walker processed this view of the 2010 total eclipse using the author’s bracketed exposures made with a non-tracking telescope.